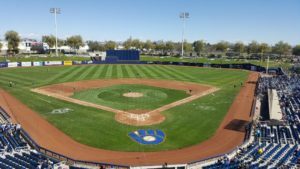 The Milwaukee Brewers blanked the Kansas City Royals 1-0 in Cactus League play in Phoenix on Thursday. Zach Davies (2-0) allowed just four hits with a walk and three strikeouts over five innings to earn the victory. J.J. Hoover, Oliver Drake and Nate Griep combined for four scoreless innings of relief, giving the Brewers their 18th victory, which is number one in the Cactus League. 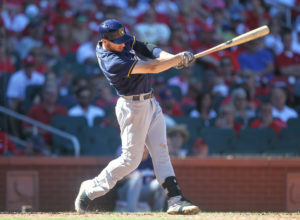 Brett Phillips clubbed a home run, his second in three days, to give the Brewers their only run in the victory. The Brewers (18-8-2) will take on the Cubs this afternoon. Brandon Woodruff faces Tyler Chatwood in the pitching matchup. The Brewers will open the regular season on Thursday, March 29 in San Diego. Brewers left-handed pitcher Wade Miley suffered a groin injury on Wednesday. One day later, it was revealed that Miley would miss around a month. But instead of parting company, the two sides have agreed to allow Miley remain with the Brewers until he is healthy again with more discussion on his future to come at that time. Miley signed a minor-league contract just before the start of spring training and was in line for a spot in the starting rotation before the injury. Philadelphia’s Nick Williams clubbed a 7th inning grand slam off of left-handed reliever Tyler Webb to send the Phillies to a 5-2 win over the Milwaukee Brewers in the series finale at Miller Park on Sunday. With the loss, the Brewers saw their lead over the Chicago Cubs in the NL Central fall to 4 1/2 games before heading on a 10-game road trip that starts in Pittsburgh on Monday night and continues in Philadelphia and Washington. Rookie Brett Phillips gave the Brewers a 2-1 lead in the fifth while pinch hitting for starting pitcher Matt Garza. Phillips drove a 1-0 pitch from Phillies starter Jeremy Hellickson out to right for his first career home run and a 2-1 Brewers lead. Garza finished his day allowing one run on three hits. 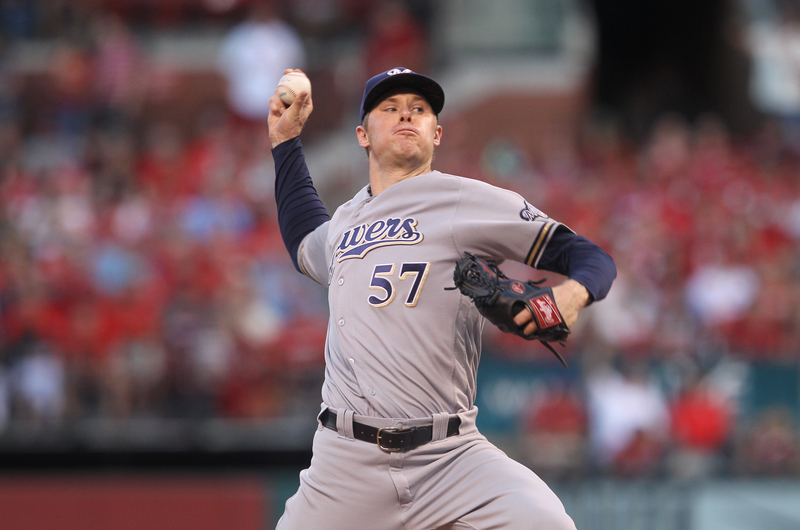 The Brewers had chances in both the eighth and ninth innings but came up empty. The Brewers still took two of three from the Phillies and open a series in Pittsburgh on Monday night against the Pirates. Brent Suter (1-1, 2.96) pitches for the Brewers. The Pirates will counter with right-hander Chad Kuhl (3-6, 4.96). The Milwaukee Brewers bullpen suffered its 17th loss of the season which easily leads the Major Leagues. San Francisco scored two runs in the 8th and three more in the ninth to pull out a 7-2 win over the Brewers in their series opener at Miller Park on Monday night. The Brewers dropped to 1-3 on their home stand and 15-18 at Miller Park this season. The Brewers got both of their runs in the first inning, on a sacrifice fly and a throwing error. Giants starter Jeff Samardzija quickly settled in, retiring 19 straight hitters. That streak ended when Hernan Perez doubled with one out in the seventh, but Samardzija struck out Nick Franklin and Jonathan Villar to end the threat. Samardzija ended up pitching 7 2/3 innings, holding the Brewers to six hits and one earned run while striking out 10. 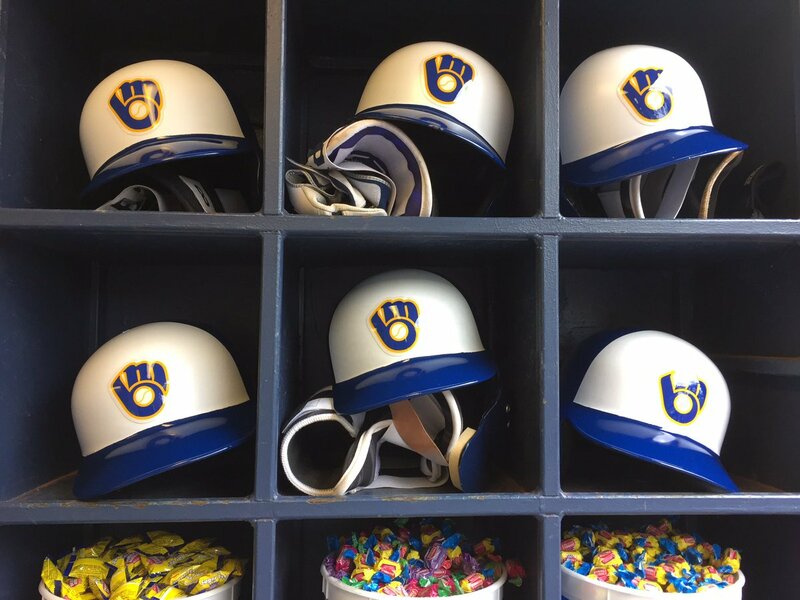 One of the Milwaukee Brewers top prospects made his spring debut, helping the Brewers knock off the Colorado Rockies 5-4 in the Cactus League finale. Outfielder Brett Phillips started in right field on Wednesday after missing most of spring camp with a strained left oblique muscle. Phillips preserved a tie game in the eighth inning when he caught a fly ball and threw Colorado’s Tim Smalling out at the plate. 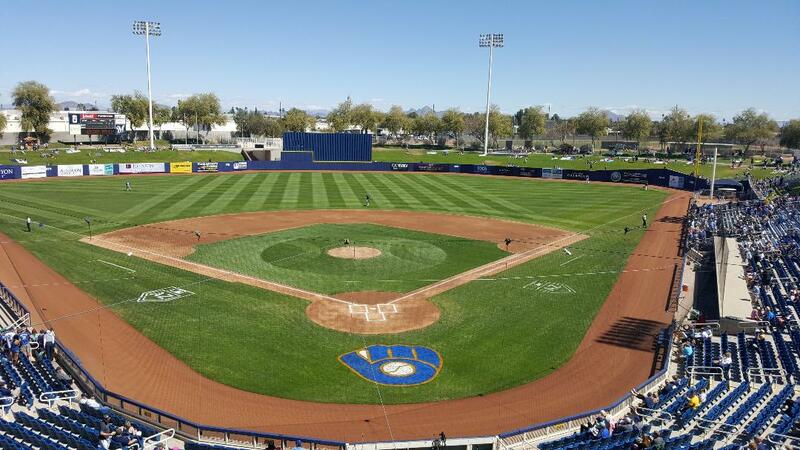 Kirk Niewenhuis drove home the winning run with a single in the ninth, and Scooter Gennett homered for the third time this spring as the Brewers finished 13-13-and-two in Cactus League play. The Brewers are in Houston to face the Astros in a pair of exhibitions tonight and Friday night. They’ll play an exhibition Saturday against their Double-A affiliate in Biloxi, Mississippi before returning to Milwaukee to face the San Francisco Giants in the regular season opener on Monday.